Technology is creating new and exciting ways to collaborate within the classroom, throughout the school, and even across the world! Some may remember a time when it was thrilling to have a pen pal in a different state and receive letters monthly in the mail; now it’s possible to have daily communications with someone on a different continent via various online mechanisms. As demonstrated by the Microsoft “Future Vision” video, collaboration and communication are facilitated in innovative and novel ways through technology. ISTE Standard 2 is about communication and collaboration and students being able to use digital media and environments to work collaboratively and to support both their learning, along with contributing to the learning of others. One way of achieving this is by creating meaningful and memorable experiences for students (Bush, 2012). Other ideas such as diminishing classroom boundaries are important for collaboration to occur (Valentine, 2014). 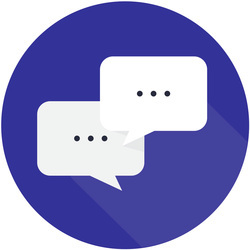 However, just as there can be challenges with communication and collaboration in a traditional classroom setting, there are issues that may arise when using online forums. The following resources are suggested to assist teachers in using technology to improve collaboration and communication within their class. When executed properly, teachers will be setting students up for continued success in the classroom and eventually the workplace! Discusses the ways in which technology can help facilitate a student-centered classroom such as empowering the learner, organizing activities, and making the student responsible for his/her own learning. Highlights the success one school district had in implementing Google Apps to improve collaboration. InCtrl Lesson Plans that teach collaboration and communication. "Combining their creativity, students will work together to design and contribute to a collaborative learning project in an online community using digital tools of their own choosing." "Students will construct a short text using a voice-recording device, then work with a partner to analyze and deconstruct the text." "When students read online, they engage with text differently. Clicking on links and images for more information easily takes them down unexpected paths, links to e-mail addresses allow them to interact with authors, and wikis allow them to make changes to published text. This lesson has students create stories that reflect this kind of reading." The best place to start with setting up a Skype Exchange is Skype in the Classroom. "Mystery Skype" works great for teaching geography, but can be used for anything. It's basically playing 20 Questions with another school. Students work together to figure out where the other school is located by asking Yes/No questions. Here's a great link to Mystery Skype How To. Creating a Culture of Collaboration Through Technology Integration: Highlights the importance of collaboration between teachers and technical coaches; proposes the idea of a collaboration cycle within schools. This article discusses the challenges of fostering a collaborative classroom when using a traditional approach of a teacher standing in front of the room. There is an emphasis on changing old mindsets, not providing new gadgets and two videos which highlight the myths and opportunities of technology in the classroom and how one school district has successfully implemented online collaboration. Shares strategies for successful collaboration that can be applied to any technology in your classroom. Discusses the fundamental components of having a collaborative classroom.